Enhancing surfing performance with wildly advanced fins for surfboards is what 3DFins is all about. Fully dedicated to exploding the limits of the sport and morphing the way riders think about their fins, 3DFins is a company composed of riders that pour 100% of their passions into this brand and its products. While fins may appear to be a minor piece of the puzzle to the common folk who don’t make it a practice to paddle out, 3DFins creates their surf accessories for those who can truly appreciate just how much those little pieces contribute. Courtney Potter founded 3DFins to progress the sport. While he has certainly accomplished that feat, he views it as a never-ending endeavor to always craft the best gear in the business. Potter has got this initiative based in Margaret River, which is in Western Australia. His efforts to research and develop innovative new designs is an ongoing process with undeniable highlights along the way. He has also made it a priority to work with materials that are not only beyond durable, but are kind to the environment. By working with a pro team of uber talented riders such as Josh Kerr, who is one of the most ridiculous riders to have ever ripped a swell, Courtney is able to relentlessly test all kinds of prototypes and designs. From beachies to bombies, 3DFins are put through the paces to ensure they can stand up to anything and improve the performance of any rider who is bold enough to bolt them to the bottom of their board. Dimple Technology is featured in the entire Moonrakerr lineup. The 3DFins Moonrakerr 7.0 Full Base is constructed to induce bonus speed and extra drive to really explode through the water, while the 3DFins Moonraker 5.0 Full Base is more focused on smooth transitioning and responsiveness. It’s tough to beat the sweet graphics of the 3DFins Moonraker 5.0 Twin Tab Tri Fins, but it is their performance across the board that makes them an all around favorite. Quick release and outstanding hold during bottom turns can be expected when mounting up with the 3DFins Moonrakerr 7.0 Twin Tab Fins. Basically, it just depends what you’re into, because 3DFins has got the goods to take your ride game to the next level. 3DFins has proven their dedication to advancing the surf realm, and they will continue to do so, because that is where their true passion lies. 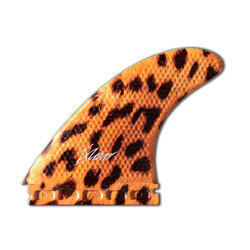 Serious surfers know when they’ve found a fin that will take them to the next level. Courtney Potter has grown accustomed to being that solution. When you paddle out, go with 3DFins, because not just any fin will do.